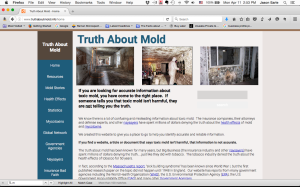 Great Resource • TruthAboutMold.info « Blog | 1-800-GOT-MOLD? 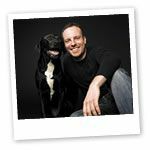 Once in a while I stumble onto a website that is loaded with selectively curated, solid, unbiased information about mold and related matters. It’s extremely rare. For some reason, most of the other sites are like a backed up toilet, overflowing with old, inflammatory, fear-based, garbage, stinking of ulterior motives and ignorance. Not this one. It’s called Truth About Mold. While it looks about as basic as it gets, it’s a fantastic resource for people wrestling with a mold issue, or someone researching the topic. I have no idea who is running it, but I’m a fan. Just wanted to put this out there in the hopes of helping them disseminate the information they’ve carefully organized, and further their mission, one that we clearly share.